Diagnostic Imaging principles and concepts are augmented by the presentation of imaging for common clinical conditions. Guiding principles related to minimizing radiation exposure and requesting the most appropriate imaging examination are addressed. Static images are enhanced by the ability to access images stored and displayed on an html-5 compatible, Dicom image viewer that simulates a simple Picture Archive and Communication system (PACS). Users can also access other imaging from the Dicom viewer (ODIN), beyond the basic curriculum provided, to further advance their experience with viewing diagnostic imaging pathologies. 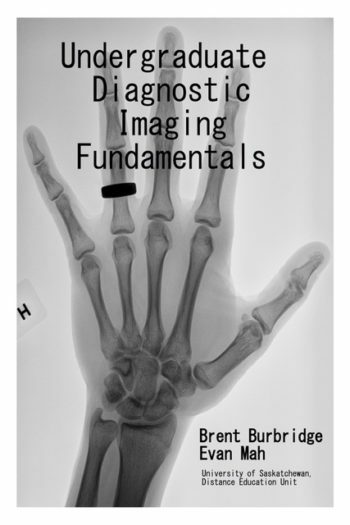 Undergraduate Diagnostic Imaging Fundamentals by Brent Burbridge is licensed under a Creative Commons Attribution-NonCommercial-ShareAlike 4.0 International License, except where otherwise noted. All images in this work, unless otherwise stated by a specific copyright statement, are courtesy of Dr. Brent Burbridge, MD, FRCPC, University Medical Imaging Consultants, College of Medicine, University of Saskatchewan, and fall under the CC copyright license of this open book.